Our Fully Automatic Horizontal Balers SUPER75, are produced with a throughput capability of up to 4 tonnes per hour, providing excellent results. These machines are ideal for printing plants, paper and plastic recyclers, industrial waste processers, packaging companies and distribution centres to name a few. These machines have a strong body. The design is built to withstand everyday wear and tear and increases strength and durability of the baler. 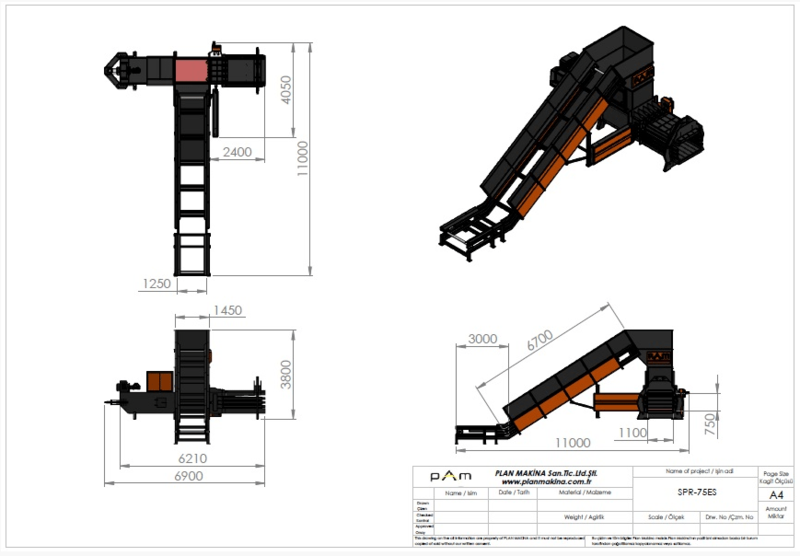 All the Super Series automatic baling presses have a independent cooling and filtration system as standard. Customers can choose their RAL colour or use PAM standard colour (Black & Orange). Before painting the chassis is cleaned, painted with two protective coats and finally will receive another two finishing coats.